When colonists first settled around Oxford, Connecticut, roads consisted of little more than footpaths, but as agricultural production increased to the point of exceeding the needs of the local population, farmers began demanding better roads on which to export their surpluses. Foot paths became bridle trails and then cart tracks, eventually evolving into the roads and highways traveled by residents today. A real focus on road construction occurred in Oxford in the 1780s. In 1783, residents helped build a road along the eastern bank of the Housatonic River from Derby to Woodbury. The completion of such a project was no easy task. Roads cut through giant swaths of forest required travelers to navigate around tree stumps, boulders, and leg-breaking pot holes. Stumps and rocks needed to be removed, potholes filled, ground leveled, hills made navigable, and water drained. In addition, engineers needed to design bridges for crossing entire networks of rivers and streams. Turnpikes begin appearing in New England around 1792—a result of settlers balking at the thought of paying higher taxes in return for road improvements. Turnpikes were roads built and maintained by private companies who then recouped their expenses by charging travelers a toll for using the road. In Connecticut, the legislature regulated the amount toll operators charged. Turnpikes got their name because the tollgates used on them actually consisted of four narrow poles, about 10 feet long, sticking out horizontally from a center pole that turned to allow passage. The poles used to build the tollgate reminded colonists of pikes used by warriors in battle. In 1795, the people of Oxford, Southbury, and Derby formed the Oxford Turnpike Company, which built a privately funded road that loosely followed the trajectory of today’s Route 67. 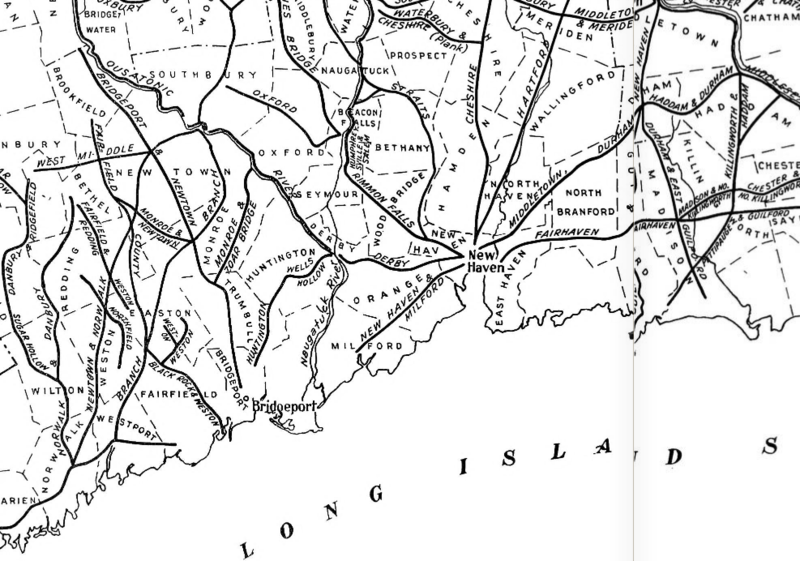 Over the next several decades, several turnpike companies undertook similar enterprises, including the Ousatonic Turnpike in 1798 and the Pines’ Bridge Turnpike in 1824. These improved transportation routes were the precursors to the intricate network of state-maintained roads and highways that weave throughout the area today. “Oxford Historical Society,” 2012. Link. Litchfield, Norman, and Sabina Connolly Hoyt. History of the Town of Oxford, Connecticut. Oxford, CT: N. Litchfield, 1960. Link. DeBisschop, Dorothy. Oxford. Charleston, SC: Arcadia, 2004. Wood, Frederic. The Turnpikes of New England and Evolution of the Same Through England, Virginia, and Maryland. Boston, MA: Marshall Jones Company, 1919. Link.